Dream Vegas Online Casino might only have launched in 2018, but it’s doing well to bring all the buzz and thrills of Las Vegas to our homes. In fact, if you’re dreaming of spending even just a weekend in the world’s biggest gambling destination, you don’t need to buy a ticket to Sin City, it’s just so out of reach. No, log on to your internet connection and head straight over to Dream Vegas Casino. They’ve made it their mission to bring your online gambling ala Vegas, and we think they’re getting it right. Launched in 2018 by Caddell Limited N.V. and managed by White Hat Gaming Limited, this online casino is certainly a fresh and exciting face in the world of online gambling. In fact, its brings all the best bits of its sister casinos, Miami Dice and Spinland to one tidy, enthralling site where you can have hours of entertaining fun on all the latest slots. If you’re looking for decent bonus terms, banking times and a big portfolio of games, it’s time your signed up with this casino. As if that’s not enough, there’s an exceptional mobile platform for Windows, iOS and Android devices, customer support 24 hours a day and the casino is licensed and regulated by the world’s strictest regulators, the Malta Gaming Authority and the UK Gambling Commission. Piqued your interest? Let’s take a closer look at Dream Vegas Online Casino. Other than its awesome games catalogue, Dream Vegas comes under the bright and shiny spotlight for its super-generous welcome package. Terms and conditions, as always, apply, along with wagering requirements, so just make sure you read the small print first. If you’re an existing customer (or gearing up to become one), you can also look forward to an array of promotions that are sure to keep you coming back time and again. When you make your first deposit, you’ll get a stunning 200% match up to a jaw-dropping $/€2,500. As if that’s not enough, Dream Vegas will also give you an additional 50 free spins to really get your going. Just when you think things couldn’t get more welcoming, you’ll get another 50% bonus up to $/€3,000 when you make your next deposit and 30 free spins. Hooray! Wait, there’s one more. Make your third deposit and you’ll get a 60% bonus up to a whopping $/€1,500 and 40 free spins. It’s just setting you up for hours of awesome entertainment. But, take note those t’s and c’s. The welcome bonus, as always, is only open to new players and there’s just one bonus per player. Your maximum bonus bet is £5 bonus spins on particular games and must be used within 72 hours. Your bonus funds are also subject to a 30x wagering requirement of the total bonus, cash and free spins. Finally, any winnings from your bonus spins are capped at $/€100. It sounds like a lot, but it’s pretty standard stuff for an online casino bonus. 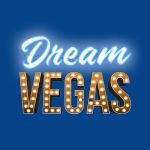 Existing players who have already availed of the welcome bonus at Dream Vegas can also participate in regular promotions along with the chance to win cash prizes or a nifty Range Rover. The casino’s Car or Cash promo allows you to ear points for each £20 you deposit. Every time you deposit £20, you’ll get an entry ticket for a random draw for every 500 points you collect. If you’re already a VIP at another online casino, you can call the Dream Vegas support staff and they’ll instantly make you a Dream Vegas VIP – Instantly! It doesn’t really matter if you’re not a VIP at another casino, though, as you can play your way up the tiers at Dream Vegas. It’s worth the effort, as the higher up you climb, the more perks you can look forward to, like cashback, personalized rewards and so much more. E-wallets and credit cards seem to be the most popular ways to fund your real cash account at Dream Vegas Casino. Before you make your very first withdrawal, you will need to undergo a verification process, including providing proof of your identity, age and residence. Withdrawals at Dream Vegas take 48 hours to process and funds should appear in your account in one to three business days. If you’re after security, convenience and speed, Neteller is going to be your way to go. Just like Miami Dice and Spinland, this online casino has a huge portfolio of top-notch casino games. Their selection ranges from classic online slots to top-of-the-range video slots and a professional selection of live dealer games, too. The game section, on the whole, is quick and easy to navigate. All you do is click on the different categories right at the top of the homepage. From here, you can choose options like slots, progressive jackpot slots and table games, as well as your personal favourites. We must say, the online slot games at Dream Vegas Casino are provided by the biggest and best software developers in the iGaming industry. Here, you’ll find games by top developers, including Thunderkick, Big Time Gaming, Quickspin, Elk Studios, NYX, Leander, NetEnt and Microgaming. These are, undeniably the leading software gaming developers in the industry and well-known for their quality games. Overall, this exciting online casino has hundreds of slots to choose from, catering for every kind of preference you could dream of. Famous titles like Gonzo’s Quest, Starburst and Guns n’ Roses combine with the jackpot titles to keep you happy for hours on end. What’s more, new games are constantly added to make sure there’s always loads of variety and tons of ways to make your dreams come true. If you’re not that into slots or just need a break from the reels, there’s also a fabulous section of table games. You’ll find everything from roulette to blackjack and even Pontoon. There are all the traditional and loved favourites, too, including baccarat and Hold’em along side an array of fun games and scratch cards when you need quick fix. But, if you’re wanting to am up the thrills and excitement during your gameplay at Dream Vegas, you’ve got to have a go at the progressive jackpots. In this section you will find some of the best jackpot slots ever, like Mega Moolah and Divine Fortune, both of which are known to make everyday players like you overnight millionaires. You’ll even find the status of the overall progressive jackpot at the bottom of the page at Dream Vegas Online Casino. We cannot deny that Dream Vegas excels when it comes to its assortment of games. This online casino also excels in terms of its live gaming capabilities, with loads of options to experience tables with real life croupiers in an authentic casino environment, all in real time. At Dream Vegas, there are two live dealer casinos courtesy of NetEnt and Evolution Gaming, and you can even play games like Dream Catcher on your mobile device. Dream Vegas Mobile is the type of mobile casino platform that you have always dreamed of. For starters, it’s available in instant play mode on Windows, iOS and Android. It also looks sensational and is super-easy to navigate. In fact, you can play hundreds of the latest and greatest mobile slots right in the palm of your hand -wherever you happen to be. Exciting titles include Microgaming’s Age of Discovery, Blueprint Gaming’s Diamond Megaways and Barcert’s Himalaya Roof of the World. There are also amazing live dealer games you can play on your smartphone or tablet, such as Evolution Gaming’s Dream Catcher. All you have to do is sign up at the casino and log in via your mobile device’s web browser using the same username and password. Easy! Dream Vegas was launched by White Hat Gaming, on behalf of Caddell Limited N.V. in May 2018. The casino is licensed and regulated by the UKGC and MGA. This site uses first-class encryption technology and security measures to ensure all your details and money are always kept safe and secure. The use of Random Number Generators makes sure every outcome of every game is completely fair. Dream Vegas’ team of friendly and knowledgeable customer support staff are on hand 24 hours a day, 7 days a week should you run into any problems. You can contact a support agent via email or the live chat function. Live chat is usually the most popular way to seek help, and you can access it quickly and easily from the live chat tab that’s in the lower right-hand corner of every page on the site. If you’d rather pop an email over, you can head to the site’s Contact Us page for the email address. For many UK casino players, Dream Vegas Online Casino is a dream come true. You can claim a massive welcome bonus and loads of free spins when you sign up, and there’s always the opportunity to earn tickets to incredible prize draws. You can even work your way up the various VIP tiers. But it is the fantastic selection of slots and other games that truly sells this casino. There are so many amazing and brand-new titles form the best software providers on the market, exceptional live dealer games and a first-class mobile gaming experience. There’s also staff on hand round the clock and a good selection of banking options. What more could you want? If you’re ready to make your dreams come true, it’s time to check out Dream Vegas Casino for yourself!